Jimmies News · Mar 15 Jimtown Girls Golfer will hit em for the Pilots!! 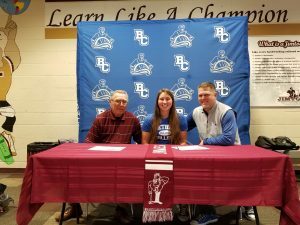 Emilie Jaskolka poses after signing with Bethel with Jimtown Head Girls Golf Coach, Bob “Doc” Elli and Bethel Head Women’s Golf Coach Christopher Hess. At Jimtown, we always like to pause for just a moment and celebrate when one of our own student-athletes steps out to head to the next level. 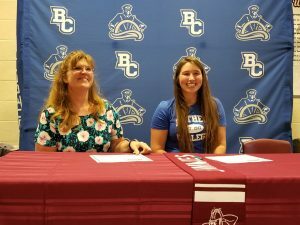 Jimtown’s Emilie Jaskolka signed her letter of intent on Thursday, March 14th to continue her academic and athletic career at Bethel College. 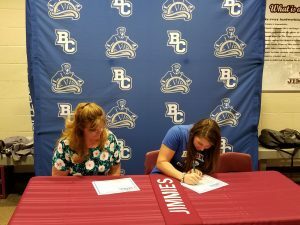 Emilie will trade in her Jimmie Maroon for the Blue of the Bethel Pilots in the fall of 2019. Emilie was one of the top girls golfers this past season for Jimtown; helping the lady Jimmies to a top-half finish in the ultra-tough NIC golfing scene. Emilie scored consistently in the low 40’s for the Jimmies and showed steady improvement throughout her time as a Jimmie golfer. Emilie is the 2nd Jaskolka athlete to come through Jimtown and move on to play sports at the college level. 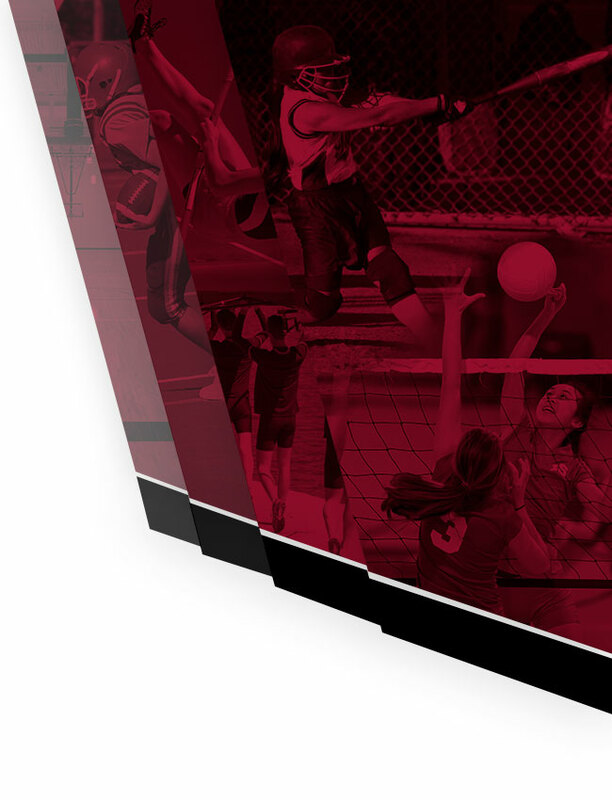 Emilie’s older sister Jenna was the #1 singles tennis player at Jimtown and went on to play at St Mary’s. The Pilots of Bethel name Blackthorn Golf Club as their home course and play in the NAIA Division II, NCCAA and are members of the Crossroads League. 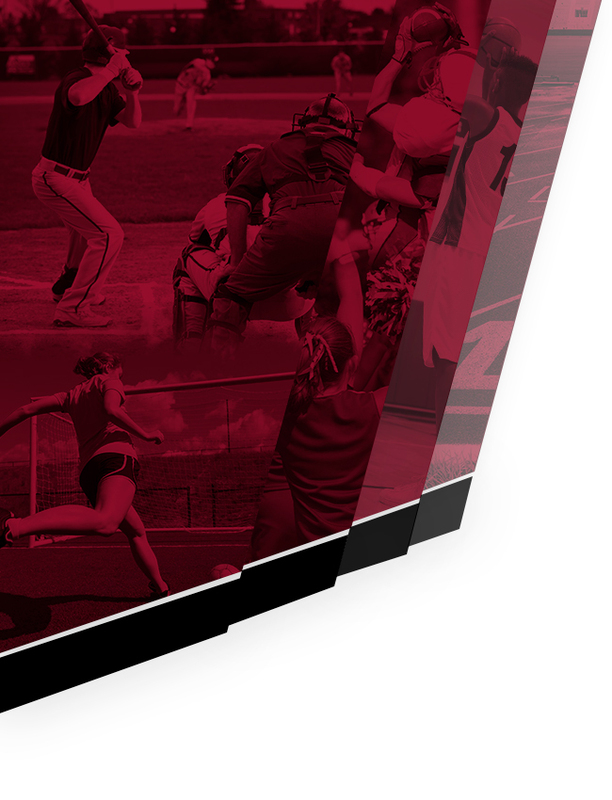 The Crossroads League consists of Bethel, Goshen, Grace, Huntington, Indiana Wesleyan, Tylor, Spring Arbor , St Francis, Mt. Vernon and Marian. Good Luck to Emilie as she begins to train and look forward to this next adventurous chapter in her life. Hit em far and hit em straight! !